Join the BSF ExxonMobil Satellite this fall to study Acts and the Letters of the Apostles. Satellite classes will meet from 11:30 am – 12:30 pm on Tuesdays. The next study in Bible Study Fellowship, starting in the Fall of 2019, will be Acts and Letters of the Apostles. In order of appearance: Acts, 1 Peter, Hebrews, 1 & 2 Thessalonians, 1 Corinthians and James. If you’ve been in BSF awhile, you may notice the lineup is different than previous years of this study. The revised study provides a 30-week format and allows us to spend more time in other portions of the study. (For example, we’ll spend four weeks exploring 1 Corinthians, rather than two, as we have before.) To accommodate this, we have trimmed some epistles from the study – 2 Corinthians, Ephesians, 2 Peter and Jude. We would like to reconstitute these and other BSF materials to create several shorter, off-season studies in the future. See the following video for encouragement to attend! To join the Women’s group, please contact Sharon Snoddy. To join the Men’s group, please contact Stuart Holland. From Joshua to Solomon, God’s united people entered and flourished in the promised land. This 30 week studies will begin, separately for both men and women, during the lunch hour beginning in September. Beginning with Israel’s entrance into Canaan under the leadership of Joshua, People of the Promised Land I and II chart the ups and downs of the nation of Israel. People of the Promised Land I covers the united kingdom of Israel, from Joshua to Solomon. 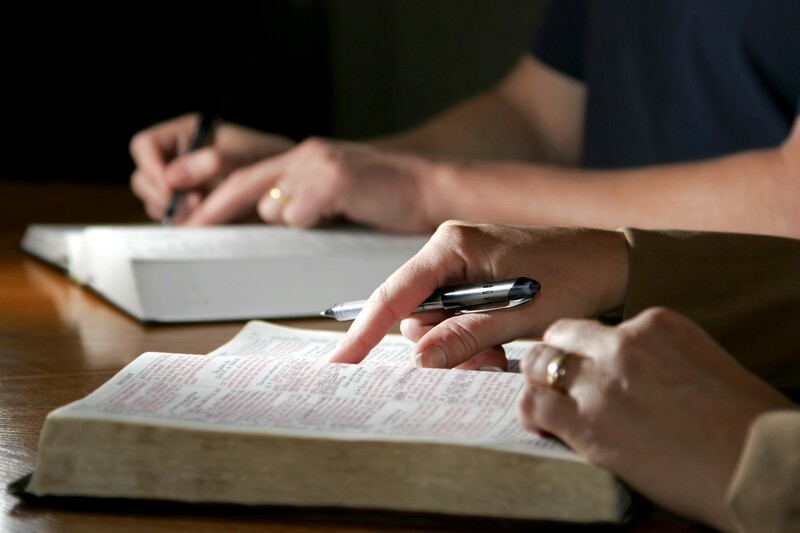 We will study the books of Joshua, Ruth, 1 and 2 Samuel, 1 Kings 1-11 and overviews of Psalms and Proverbs. Joshua: In the days after Moses, a new leader would guide God’s people faithfully and courageously into the land the Lord had promised. Ruth: During the days of Judges, the people repeatedly turned their hearts away from the Lord. Yet amid the darkness, stories of grace, such as Ruth’s, resonate and foreshadow God’s great offer of mercy to the Gentiles. The Last Judge and First King: Samuel was the last of Israel’s judges and God’s answer to a childless woman’s prayer. Amid the people’s rebellion, God called on Samuel to anoint Saul as Israel’s first king. David: A great warrior as well as a beautiful poet, David became Israel’s anointed champion. More important, he would be the integral ancestor to the divine King to come, the Lord Jesus Christ. Solomon: With God’s gift of wisdom, David’s son ruled a peaceful, prosperous nation. He had the great privilege of building the temple in Jerusalem. But Solomon’s wayward ways later in life would set the stage for the nation’s division to come. The subsequent divided kingdom will be covered in People of the Promised Land II. By God’s design, Israel marched to conquer Canaan with no allies in battle. The Lord alone would give His people success. Sin is infectious, and God’s people are not immune to rebellion as they turn to their own ways. Yet God remains faithful to His own. And through mercy and admonishment, He shepherds His people into a deeper relationship with Him. We are excited to announce we will be studying the Book of Romans this year starting, Tuesday, September 19, 2017. This is a great opportunity to study God’s word. The women’s class meets from 5-7 p.m. on Tuesdays. For women who are interested in participating in this year’s study of Romans, please contact Sharon Snoddy. Men who are interested in participating in a satellite group here on Campus, please contact Stuart Holland. Locations: Over 1000 classes internationally for women, men, young adults and children. In the Houston area there are 10 day women’s classes, 6 women’s and men’s evening classes. BSF format is a four-fold approach. Daily lesson questions from the Scripture. Discussion of these questions in a small group atmosphere. Listening to a lecture of that same passage. Notes that provide further information on the passage. Classes meet ~30 weeks each year, with breaks at Christmas, Spring break and during the summer. BSF currently has the following ten studies: (1) Genesis (2) Life of Moses, (3) History of Israel 1, (4) History of Israel 2, (5) Isaiah, (6) Matthew, (7) John, (8) Acts of the Apostles, (9) Romans, and (10) Revelation. BSF recently added the option for satellite discussion groups which meet separately from the host class. The host class meets at the First Baptist Church of the Woodlands on Monday nights. As ExxonMobil employees, we have the opportunity to have women’s and/or men’s satellite groups here on Campus. Further information about Bible Study Fellowship is available at bsfinternational.org. CHECK OUT BSF Featured in this Christianity Today article!